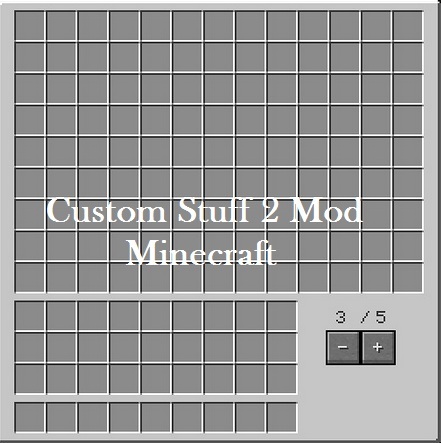 Custom Stuff 2 Mod 1.5.2 is capable of adding blocks and items into your Minecraft. None other than that Custom Stuff provides variety of items such as blocks, ores, tools and you can add trees also in it. It allows you to add your own content to Minecraft with simple text files, you don’t need any Java programming skills to do that. All you need is a simple text file that must be placed in Custom Stuff 2 mods’ direcotry. You can create chests, furnaces, ladders, torches that can also be placed on the ceiling, armory, food, potions, crafting recipes and much more. Description: A custom block building mod for minecraft. Go to Start Menu > Type %appdata%/.minecraft/ and press Enter. Open “mods” folder, if you don’t find it, create one. Put the mod zip file in “mods” folder and close all the windows. Enjoy the newly featured tool with the Minecraft and keep one thing in your Mind that before making any changes you should keep your Minecraft backup. Don’t miss to comeback here and see the fastest updates.